ARM Holdings already has a significant presence in the mobile market, whether it is mobile phones or tablets. Today, the microprocessor company has revealed that it intends to grab half of the mobile pc market share within the next few years. ARM president Tudor Brown explained in a speech at Computex 2011, “Today we have about 10 percent market share. By the end of 2011 we believe we will have about 15 percent of that market share as tablets grow. By 2015, we expect that to be over 50 percent of the mobile PC market.” In order to expand at such speeds, the company will be launching its Cortex A15 core sometime next year. Compared to the Cortex A9 architecture, the A15 can include up to 8 cores at operating speeds of up to 2.5GHz and will increase power efficiency by a factor of 5 due to its 28nm die shrink. Brown also mentioned that 14nm chips are in the works as part of the company’s partnership with IBM. Nvidia may be one of the first to utilize the Cortex A15 architecture since its Kal-El successor, codenamed “Wayne,” is expected to ship sometime in 2012. Qualcomm will also be releasing a quad-core 2.5GHz A15 chip around that time, called the APQ8064, according to DailyTech. As for the competition, Brown seems to be slightly apathetic towards Intel and feels that the chipmaker will need to make an important "change in their business model" in order to stay competitive. In the meantime, Intel has been committed to their x86 architecture and will be optimizing its line of Atom CPUs for better performance and lower power requirements for tablet implementation. 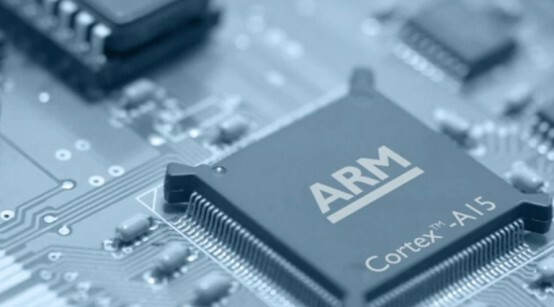 Regardless, the playing field could soon favor ARM as the next iteration of Windows is expected to support ARM-based processors as well as the more traditional x86 architecture.